Right now might not seem like the best time in the motor industry to unveil a new model that isn’t some sort of SUV, but that isn’t stopping BMW as the Bavarian automaker has partially revealed its all-new version of the Z4. 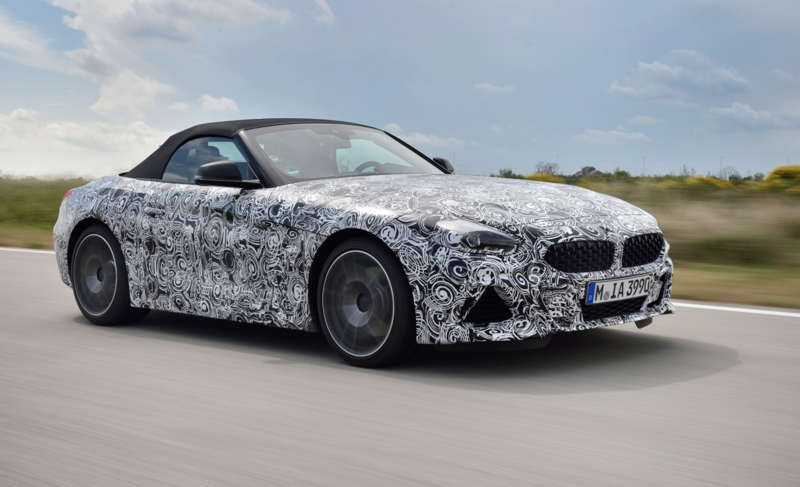 In what is a slightly unusual move, BMW has allowed the media the chance to test drive the new roadster in prototype form and issued an extensive album of images, but the exterior and the dashboard have remained camouflaged. Part of the reason for exposing the prototype to such scrutiny could be as much to do with the old Z4 as the new one. Although the last Z4 certainly looked the part, it’s probably not unfair to say the driving experience fell somewhat short of what was promised by the styling, and didn’t quite live up to that well-known BMW “ultimate driving machine” slogan. But in this age where the SUV rules supreme it’s probably safe to suggest the car wouldn’t exist at all if it wasn’t for BMW’s current technical partnership with Toyota, which sees this third-generation Z4 sharing a platform with the upcoming new Toyota Supra. Buyers of the new M40i will have limited options for upgrading, but that’s because this car is being designed as pretty much a complete package. It will already come standard with the likes of performance brakes, electronic adaptive dampers, a limited-slip differential, adjustable suspension with MacPherson steel struts at the front and a multi-link set-up at the back. Under the hood will be the 3.0-litre six-cylinder powerplant from the M240i, and in the Z4 it’s expected to develop somewhere in the region of 350 bhp and 369 lb-ft of torque.